Hydraulic 3, roll double initial pinch. Metal rolling machine manufactured in Italy. 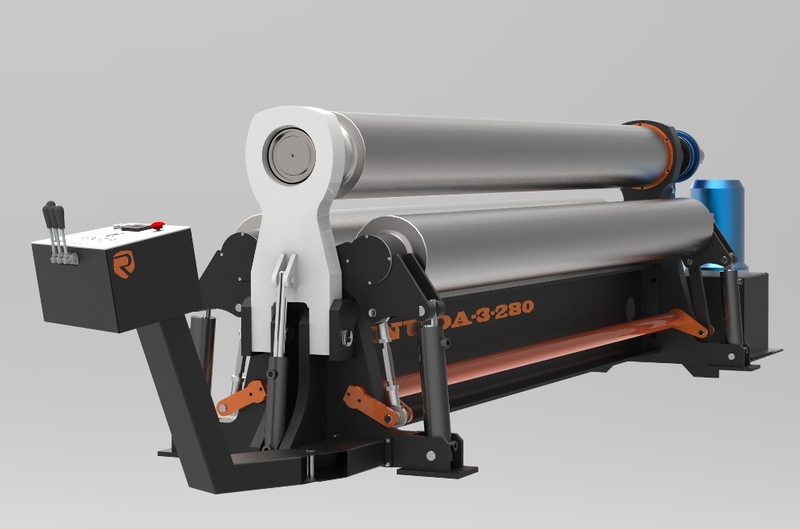 A plate rolling machine as the name suggests stripped down to its basics to offer a low cost solution for companies who require to roll plates, but a plate rolling machine not used every day. ‘Nuda’ Hydraulic 3, roll double initial pinch. Excellent European build quality and reliability.